Why must our region bludgeon the feds to make sensible river choices? Federal agencies that run Columbia-Snake dams exhibit a junkie-like contempt for making any genuine move toward a healthier future for salmon and the river's interconnected habitats. Just as the first step of recovery for drug addicts is admitting they have a problem, hydropower operators and NOAA Fisheries must acknowledge the need to get out of their rut, or else be forced to do so by federal courts. A lawsuit filed June 17 by 13 fishing and conservation groups seeks just such a solution. It is absurd that litigation once again must be used to bludgeon agencies into making obvious and logical decisions. The most obvious of these choices is to let enough water past dams at the right times to facilitate natural salmon migration. Natural salmon runs were consigned to extinction by poorly considered 20th century decisions to obstruct the Great River of the West in many places. Protests and political intervention resulted in measures such as fish ladders. These and more heavy-handed steps like loading seaward-bound salmon on barges to get them past dams managed to keep a few of the Columbia's many distinctive fish populations alive. However, since ordered by the court in 2005, using part of the dams' water-storage capacity to mimic natural river flows has proven to be a key factor in bettering salmon survival. Referred to as "spill," this strategy of enhancing in-stream flows has held the line against extinction. Combined with cyclical improvements in ocean conditions, the pragmatic payoff for spill is expected to be seen in this year's outstanding fall chinook returns. The fact remains, however, that 12 of the 13 salmon populations protected by the Endangered Species Act are far from secure. An inevitable downturn in ocean conditions, gradual loss of Pacific Northwest snowpacks, rising water temperatures, human population growth and other factors all present huge risks to fragile salmon runs. Instead of acknowledging the usefulness of enhancing in-stream flows, the federal agencies plan a retreat. For them, water represents power -- literally and figuratively. They clutch it like misers. Bowing to their elite industrial interests, the states of Washington and Idaho are cooperating in this abdication of responsibility. 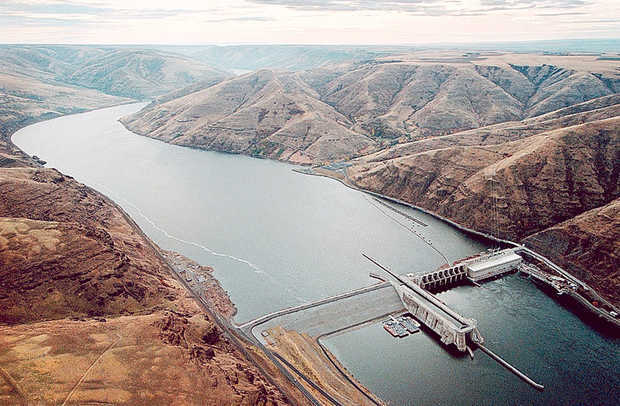 This has resulted in a 2014 Federal Columbia River Power System Biological Opinion, or salmon-survival plan, that is a throwback to the 2008/2010 that now-retired Judge James Redden ruled "arbitrary and capricious." It even cuts back on spill. An 18-year study of spill strategies has shown such promise that Oregon, the Nez Perce Tribe and others last year proposed an expansion. Washington state officials shamefully blocked it by threatening to withdraw from the Northwest Power and Conservation Council's Independent Science Advisory Board. Returning to the drug addition analogy, it is time to force federal agencies to consult with a "higher power." This higher power should consist of a collaborative management structure that devolves river-management decisions to key stakeholders and the citizens of the Columbia watershed. NOAA's 2013 Stakeholder Assessment found strong public support for such a philosophy. Finally, it is worth noting that this tiresome struggle is an example of how the Pacific Northwest is so often only an afterthought to our nation's East Coast-based political system. The White House and Congress leave federal bureaucrats in charge of key decisions here in this remote "colony."